The picture of how competitive climbing will work in the 2020 Tokyo Olympics is beginning to come into focus. 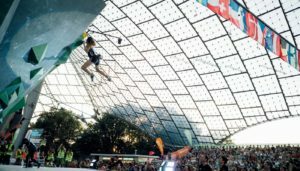 The International Olympic Committee announced last fall that the sport would be included in the next Games—in speed climbing, sport, and bouldering—and this weekend an official assembly in Canada confirmed a combined format. It feels like a missed opportunity to bring climbing to the biggest stage in the world.I am still ecstatic that climbing has made it to the Olympics. But I don’t support a format that requires climbers to compete in all three categories and weights each one of them equally. 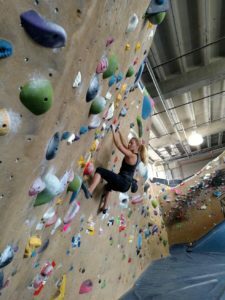 Here’s why: speed climbing has very little to do with more conventional rock climbing, beyond the fact that it involves a person vertically scaling a wall. It’s like mandating that marathon runners compete in the 100-meter dash to decide who is the best runner. It demonstrates a fundamental lack of understanding about climbing from the IOC. “It feels like some cigar smoking goomba made up the format behind a desk somewhere in a high-rise building,” says climber Joe Kinder. “It’s comical and unfortunate.” I agree. As climbing grows, its different disciplines have diverged into their own subcultures. For instance, competition climbing is becoming much more akin to parkour-like-gymnastics than a simulation of an outdoor climb on a real rock wall. This is for the better: climbing competitions should be exciting and captivating. Route setters construct four-points off dynos (climbing’s equivalent of a “slam dunk” in which climbers jump between climbing holds) and compose the climbs with three-dimensional volumes, foot-first sequences, and movements that you may otherwise never see outdoors. By comparison, if you were to sit and watch a climber scale, say, a granite slab in Yosemite, you’d probably get bored quickly—it can be slow, technical, and hard to see the nuances that go into difficult climbing. As with any young sport, we’ll see climber-athletes progressing in ability and changes to the styles and rules of the sport as a result. When I started climbing at age six, I was one of very few kids my age competing. 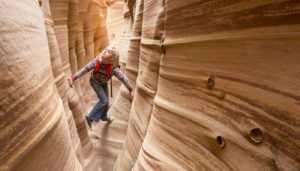 But now parents take their four-year-olds to the gym, and the number of competitors participating in USA Climbing has expanded exponentially, and has pushed the standards of excellence much higher. You can see the effect in the average age of the top competitors on the indoor circuits. Just a few weeks ago, at the USA Bouldering Championships and Sport Climbing Championship, the top-performing American men and the top-performing women were all age 20 or younger. Another reason I’m dubious about bringing speed climbing to the Olympics is that every competition will take place on the same standardized wall—the same route, same holds, and same hold placement. I understand the need for an even playing field, but to me, what makes climbing such a beautiful, unique sport is that no climb is ever the same. There are always unique movements, sequences to piece together and solve, and a particular rhythm to a specific line. 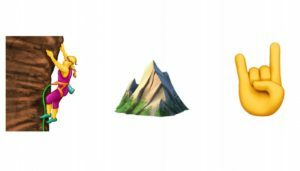 By including all three disciplines and merging them under one umbrella “climbing” event, the Olympic format creates a new form of the sport that is different than what is, to me, the spirit of climbing. Surely to have a chance at making it to the world stage, climbers will have to practice speed climbing. But by creating a format that merges the three disciplines together, we have forced climbers who want to compete to make a choice: focus on perfecting three disciplines, which may include having to learn an entirely new sport, like speed climbing; or focus on outdoor climbing. As competitions diverge from rock climbing, climbers face a choice: do you dedicate your time to climbing on plastic or on rock? Because training for one will not be easily compatible to the other. Outdoor climbing trips will not elevate competition performance. For that reason, I’m not sure whether I will compete in 2020 or not. Regardless, I will certainly strive to play an active role in Olympic climbing.